For those of you who keep up with me on Instagram, you'll likely already be familiar with my first Sustainability Campaign: Eco Tips for the Beach + Ocean. Fashion has always been my primary focus as a blogger, but ever since I rebranded to focus on sustainable fashion, I have been wanting to also create more lifestyle-focused sustainability content on the little things we can do each day to be more environmentally-friendly. 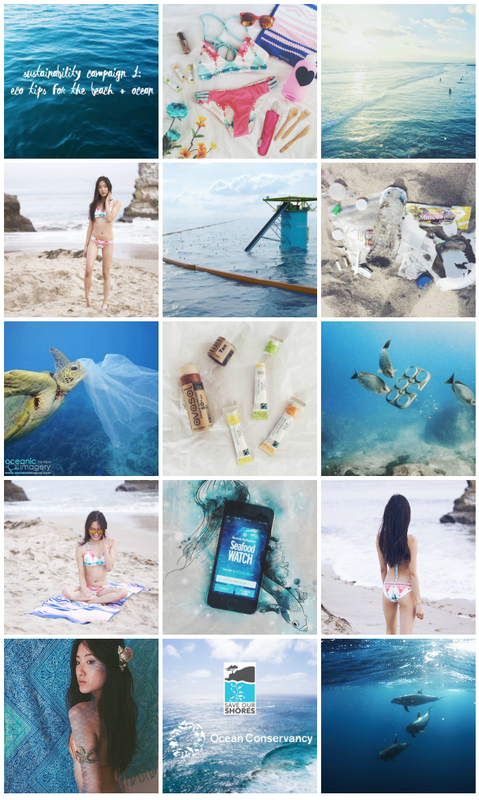 Each of these Instagram campaigns will address a particular sustainability topic/issue and for the first one, I wanted to focus on how we can keep our oceans clean and healthy! So without further ado, here is a full recap of Campaign 1!